Jerry Ballgame weighs in on a tumultuous week in Boston sports. 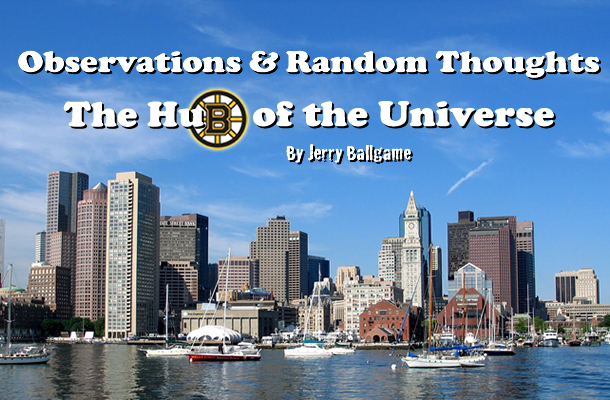 Just about a week ago when I sat down to write, the Bruins had a leg up on the Blackhawks, Daniel Nava seemed to be a serious candidate for the American League All- Star squad, Doc Rivers had an East coast address and former Patriots’ tight end Aaron Hernandez was still a free man. As frustrating as sports can be for the “serious” fan, the unscripted, and unpredictable nature of it is what keeps people coming back, and makes winning championships so absolutely intoxicating. It’s why some franchises will spend incredible amounts of money in the quest for a title, and why organizations will risk so much on young people of very questionable character. It’s also why, when the real world collides with the world of sports, the end result is often very messy, if not outright, tragic. That last statement appears to be true in the case of Aaron Hernandez. At about the time of my last post, his possible involvement in the shooting death of his friend, Odin Lloyd, was just being revealed. 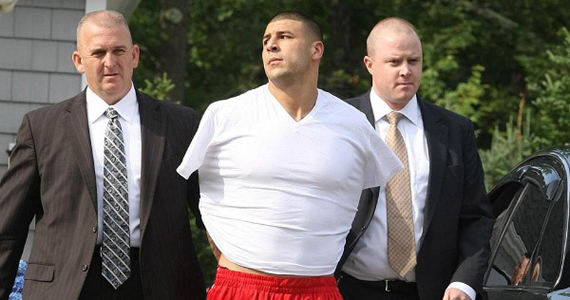 For a while there, it seemed that a spicket of information on Hernandez had been opened, with one story after another coming out about his past troubles. Most of it was not new, as it had been visited before in way of an explanation as to why he was available for the Pats to draft in the 4th round. For most of the last week, fueled by rumors of an Obstruction of Justice charge against him, it was believed that he was present at the time of the shooting (likely in his house) and was helping to cover it up. Now it appears that Lloyd was executed by Hernandez himself, for something that was said at a Boston night club a few days before. Although most of the media experts at this point are saying that the evidence appears “circumstancial”, there is the assumption out there that the prosecution has gotten the other friend who was present at the time, to testify against Hernandez. One way or another, the future of the 23 year old is certainly much darker than it was just a very short time ago, when he stood to make close to $40 million in the long term deal he had signed with the Pats. Although New England was quick to let him go when the severity of the charges became evident, they are still facing a $12.5 million salary cap hit over the next few years, because their faith in the young man proved misplaced. This is one of those stories that will occupy not just the sport pages, but the front page as well, and will do so for a very long time. 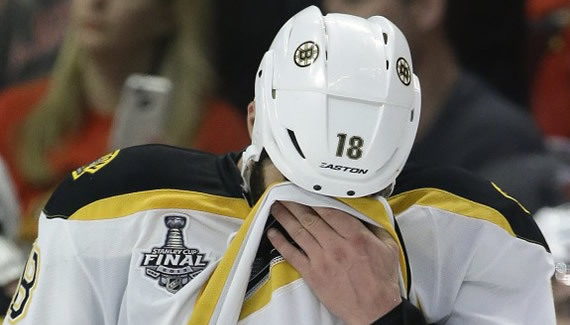 Although any other sports story I might write about at this point would certainly pale in comparison to the Hernandez saga, it’s difficult not to recognize that Bruins fans are experiencing a bit more sting after their recent loss to Chicago in the Stanley Cup Finals. Again, just about a week ago, the B’s seem to have the upper hand, playing strong “D”, with solid goaltending. Then the Blackhawks made some adjustments to utilize their speed, combined with the Bergeron injury, and the Bruins never seemed the same. When Zdeno Chara was on the ice for a seven out of eight goal stretch, their confidence was shot. I believe that the Boston fans were even more invested in this series than usual, as many are still healing emotionally from the events in April. As the Yankees of 2001 must have found out, carrying that greater emotional load can inspire you to make great comebacks, but sometimes you just fall short. As I believe I said before, I don’t blame Doc Rivers for wanting to get out of town. I still feel strongly that the Danny Ainge trade of Kendrick Perkins to OKC, deprived the Celtics of their last, best chance to win another championship with the “Big 3”. Although Perkins has had some injury issues, he was essentially the muscle behind Garnett’s mouth, so trading him not only hurt their rebounding, it made KG less effective. It is also becoming more and more apparent that, inspite of his basketball skills, Rajon Rondo is just not the person you want to build your team around. With the lack of low cost coaching prospects out there, want to bet Ainge takes over the reigns? Just a guess…. As for Daniel Nava, I can’t believe that his 1 for 20 slump in Detroit helped his All Star chances. Granted, it was in no small part because of a thumb injury, but you have to think it might have been a good opportunity to impress American League squad manager, Jim Leyland. (The “dropped” ball didn’t help, either.) Nava has picked up the hitting again at home against the Rockies with 4 RBIs in two games, but I’m still doubtful he’s is going to be voted in, and will have to be named to the team by Leyland, if he’s going to make it at all. Only time will tell.